Join the CSO for an evening of music inspired by the dramatic and distinctive landscapes of New Zealand, Antarctica and Finland. Douglas Lilburn’s Aotearoa overture explores the shimmer of light on the sea surrounding the New Zealand coastline. Lilburn wished to reflect a sense of freshness and exhilaration in this, one of his earlier symphonic compositions. Commemorating 100 years since his birth, Lilburn has been described as the grandfather of New Zealand music. Performing Nigel Westlake’s powerful Antarctica: suite for guitar and orchestra, Slava Grigoryan was the youngest major prizewinner’s in the history of the prestigious Tokyo International Classical Guitar Competition. 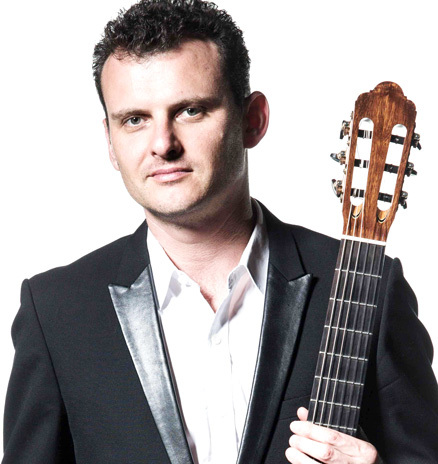 He has toured with guitar legends Paco Peña and Leo Kottke and he has subsequently appeared with many of the world’s leading orchestras, including the London Philharmonic, The Royal Scottish National Orchestra, Israel Symphony Orchestra, Dresden Radio Orchestra and all of the Australian Symphony Orchestras. Like Lilburn, Sibelius was also committed to reflecting his country’s voice through his music. Capturing the nationalist fervour sweeping Finland at the time, Sibelius’ Symphony No. 2 is one of the masterpieces of the romantic era.